There's a new Login Coming! There's a new Login coming to the website! 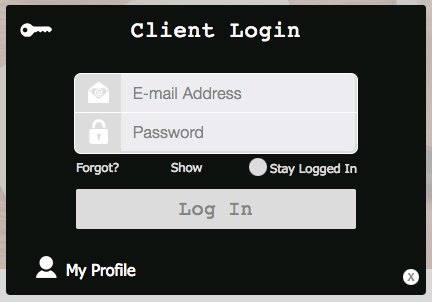 Since the launch of the last website we've had the Client Login, but only with the basic one password for everyone. The new setup will make it possible for everyone to have their own username and password. On top of that you'll be able to access a user portal with your information. Since this does happen unfortunately, if you forget your password, then you'll simply go to the login screen and click the button that reads Forgot? underneath the password field. This prompt will then send your password to the email on file (so don't forget which email that you use to login). It's not live just yet, but will be very soon. Look for an email in the near future for further instructions on how to sign up!